Republic of Ireland youth international Conor Masterson is a commanding centre-half who made his U18s debut in 2014-15. He was with Dublin based side Lucan United before Liverpool offered him a dream move to his boyhood heroes. He was included in the first-team squad for the FA Cup third round tie with Exeter City at St James Park in January 2016, and was an unused substitute. 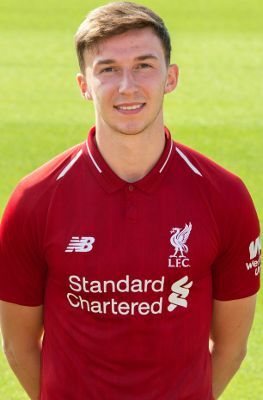 A regular member of the U23s squad, Masterson found himself training at Melwood towards the end of the 2017-18 season and was named on the first-team bench for the Champions League tie with Manchester City at Anfield.